North Shore Medical Center plans to close its Lynn hospital campus and consolidate medical and psychiatric services in Salem over the next three years. Partners HealthCare said Tuesday that it will close its community hospital in Lynn as part of a $200 million plan to consolidate medical services on the North Shore over the next three years. The plan calls for adding 58 beds at Salem Hospital while shuttering the 126-bed Union Hospital in Lynn, less than 6 miles away. Salem would also get a renovated emergency department and about 50 new beds for psychiatric patients. Both facilities operate under Partners’ North Shore Medical Center umbrella. The move to close Lynn’s hospital, since it was broached two years ago, has drawn opposition from local residents who don’t want the city of more than 90,000, including many low-income residents and seniors, to lose critical medical services. But officials at Partners and North Shore said the changes would result in better care for patients at a more modern and comprehensive campus in Salem. Hospital officials did not set a date for closing the Lynn hospital but said inpatient medical services would wind down over the next three years as the Salem campus is renovated and expanded. The emergency room in Lynn will stay open for at least three years, and a 16-doctor medical practice there will remain open and add physicians, they said. If Partners HealthCare wins approval for its latest merger, Lynn would lose its only hospital — and quick access to care. The plan will cut about 100 jobs from the 4,400-employee medical center, hospital executives said. They hope to achieve the reductions through attrition, rather than layoffs. The closing needs approval from the state Department of Public Health. A spokesman said the department will seek comments from the community before it makes a decision. Lynn residents expressed disappointment and frustration that they were losing a hospital that has served them for more than a century. Aikaterina Koudanis, who founded a grass-roots group that’s fighting to keep the hospital open, called on state officials to hold public hearings and carefully consider the impact of the closing before approving it. Norton said the Salem and Lynn campuses together lost more than $20 million last year, which he blamed on Medicare and Medicaid reimbursements insufficient to meet costs. About 60 percent of the medical center’s patients are on Medicare or Medicaid, the government programs for seniors and the poor, which pay lower rates than commercial insurance pays. Partners, whose network includes profitable hospitals such as Massachusetts General and Brigham and Women’s, subsidizes North Shore Medical Center, which has lost money for years. David E. Williams, president of Health Business Group in Boston, said Union’s closing is hardly surprising, since many community hospitals — particularly those that treat high numbers of low-income patients and rely on government reimbursements — are struggling financially. He said Partners, the state’s largest health system, is closing the hospital more gently that other health care companies without as much money; keeping an emergency room open for three years is a big concession to community concerns. 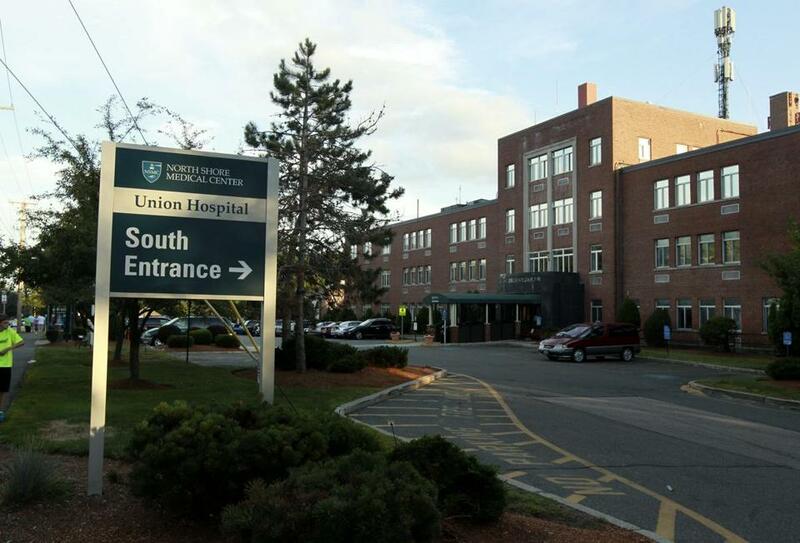 Union Hospital is the second acute-care hospital closure announced in less than a year. Steward Health Care System closed Quincy Medical Center at the end of 2014, saying the hospital faced too much competition from hospitals in Boston and other surrounding communities and did not have the money or patients to continue operating. Also, in Western Massachusetts, North Adams Regional Hospital closed suddenly in March 2014. When North Shore Medical Center closes its Lynn campus, the medical center will end up with 420 beds, 14 more than it has now, but all of them in Salem. The consolidation is expected to save up to $18 million a year. The plan is similar to what Partners floated two years ago as part of a strategy that included acquiring Lawrence Memorial Hospital in Medford and Melrose-Wakefield Hospital in Melrose. But plans to take over those facilities, which make up Hallmark Health System, are on hold after a judge rejected an agreement that would have allowed the acquisitions, and Attorney General Maura Healey threatened an antitrust lawsuit. Partners spokesman Rich Copp said the system is still evaluating whether to acquire Hallmark. Originally, Partners planned to replace the Lynn hospital with a psychiatric facility. But the new plans move those services to the Salem campus, in a building that another Partners hospital, Spaulding Rehabilitation Network, is vacating. The new Center of Excellence in Behavioral Health will include more than 100 psychiatric beds, consolidating about 60 beds spread between Lynn and Salem and adding about 50 new beds. The Massachusetts Association for Mental Health praised the increase in the number of psychiatric beds. Bernard J. Carey Jr., president of the organization, said patients often have to wait in emergency rooms because of the scarcity of beds in the state. “People in psychiatric crisis deserve quick access to quality psychiatric care and not to be languishing in ERs,” Carey said. 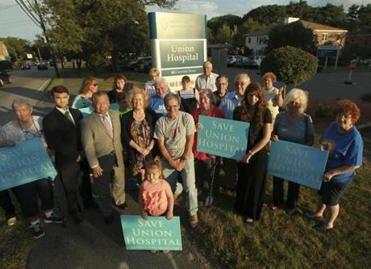 A group in Lynn protested the closing of Union Hospital in 2014. They argued the city needed its own hospital and residents should not have to go to Salem for their care. Globe reporter Deirdre Fernandes and correspondent Jack Newsham contributed to this report. Priyanka Dayal McCluskey can be reached at priyanka.mccluskey@globe.com. Follow her on Twitter @priyanka_dayal.